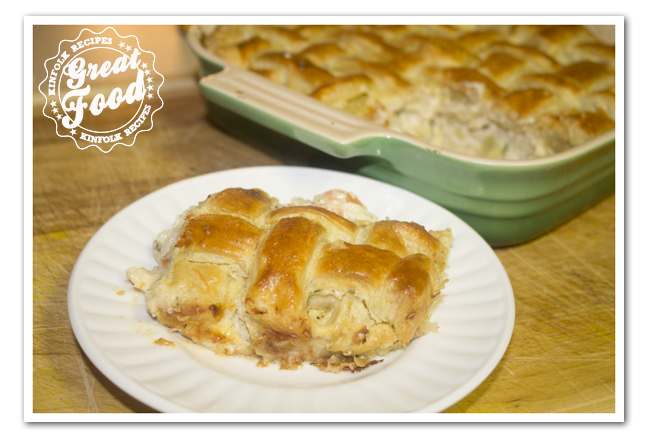 Forget those frozen Chicken pot pies. Making them yourself is not that hard. Before you know it you be making on a regular base. Let the puff pastry thaw, so it’s easy to unfold. Preheat oven to 400 degrees. 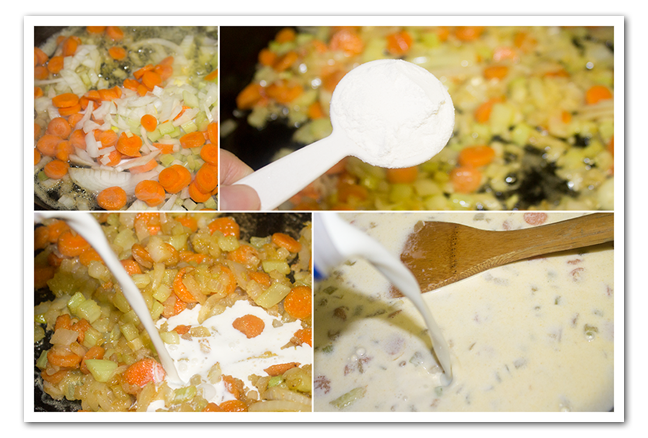 Melt the butter over medium heat add the onion, celery, carrot and salt. When the vegetables are translucent add the flour and cook for about 2 minutes. Whisk in the milk. 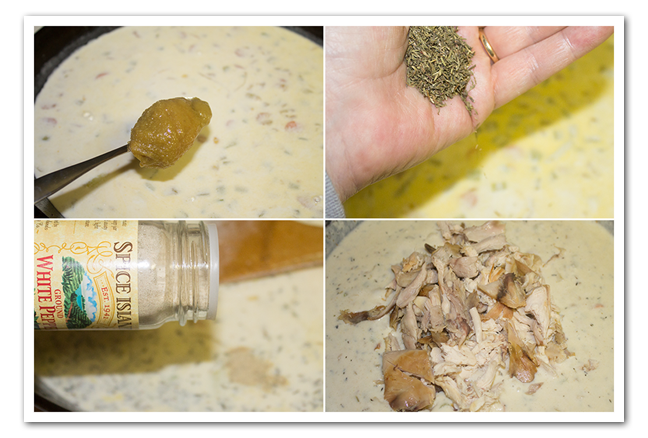 Pour chicken mixture into a 9 x 9 baking dish. Cut puff pastry into 12 equal strips. 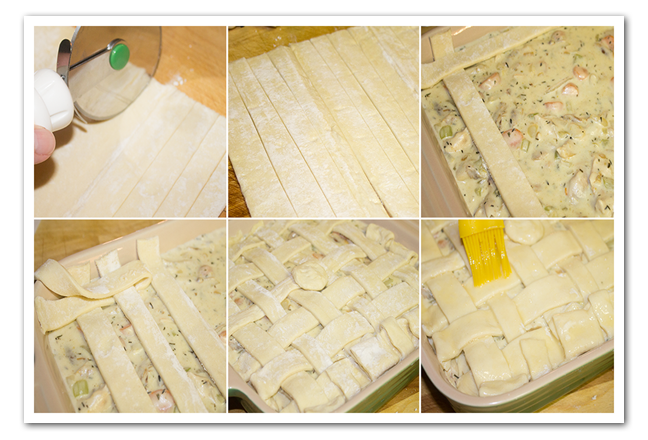 Lay puff pastry strips over chicken mixture, weaving it together to form a lattice pattern. Using a pastry brush, brush egg onto the top of the puff pastry. Bake for 30-35 minutes. The puff pastry will be a deep golden brown color. Cool for 5 minutes before serving. Preheat oven to 400 degrees. Let the puff pastry thaw, so it's easy to unfold. Melt the butter over medium heat add the onion, celery, carrot and salt. When the vegetables are translucent add the flour and cook for about 2 minutes. Whisk in the milk add 1 tsp better then bouillon. Bring to a boil. Turn heat to low then add the chicken and peas. 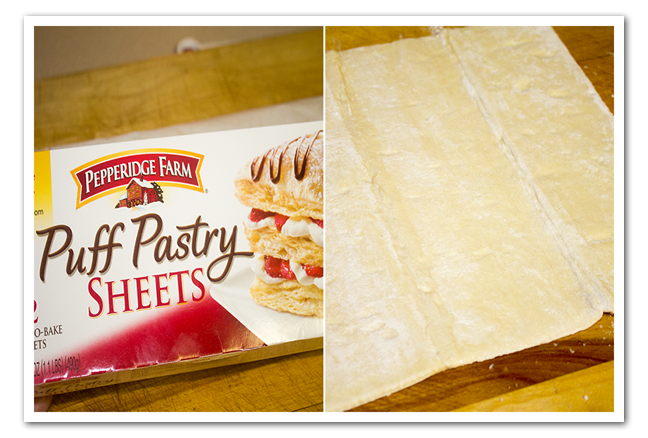 Cut puff pastry into 12 equal strips. Bake for 30-35 minutes. The puff pastry will be a deep golden brown color.